Parenting can be the best job you will ever do, but it also presents a lot of challenges which when you were holding that tiny baby in your arms, you hadn't even imagined. According to the DEA, statistics show that someone dies of a drug or alcohol overdose every thirteen minutes and more people die from drug-related issues than in motor vehicle accidents. As a nation, this is an alarming statistic and one you should be very concerned about as it relates to your children. The first step in helping your children is to know what the dangers are and where the risks lie. The social landscape for children is very different than in previous generations but what remains is the constant of peer pressure to fit in and be liked. 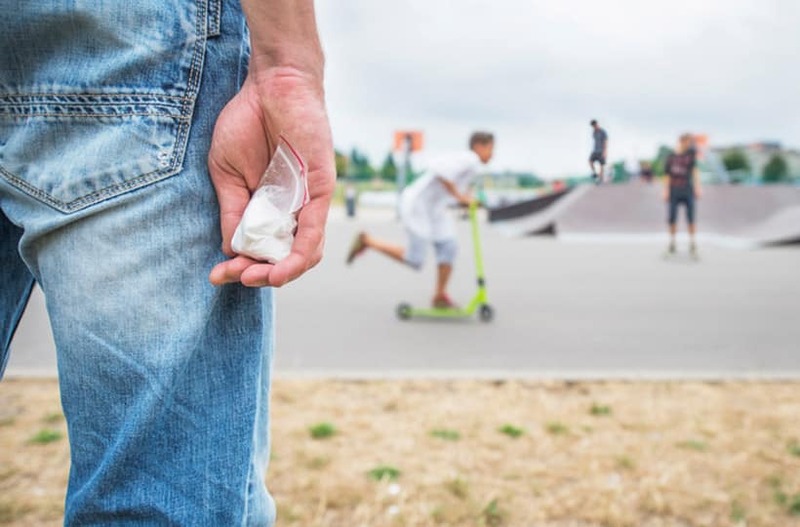 The demands of social acceptance and doing well in school, for many children, is just too much and so they turn to drugs and alcohol to alleviate feelings of discomfort, social unease, and stress. According to a study by the University of Michigan called “Monitoring the Future Survey,” two out of three 8th-10th graders admitted they had drunk alcohol, and roughly 26% by the 8th grade. Shockingly, more than half of the twelfth graders had been drunk at least once in their lives. Even more alarming is that more than half of twelfth graders and a third of tenth graders had tried Marijuana. This threat is real and cannot be ignored. Your children will be exposed to drugs and alcohol just being around other kids their age. It is up to you to take action in the home to prevent abuse, educate your children about the risks and help them recover if they have a problem. You may think there is no harm in a little drinking or recreational drugs. Studies have shown that kids brains exposed to drugs and or alcohol suffer from sometimes un-repairable damage and lasting effects. Abuse of illegal substances can cause severe brain damage, difficulty in focusing, sleeping or even mood changes and suicidal thoughts or behavior. One of the most common horrors we read about in the news these days are children dying of opioid abuse. Some additional reasons kids try drugs or alcohol are because of poor grades, exposure to a fami-ly member with substance abuse issues, bullying or conflicts at home. The key is to stay calm and not acuse or get emotional. Although you may be feeling scared and upset, talk it over with another adult to clear your head so you can stay calm during the conversa-tion with your child. Let them know you love them and you are worried. Your vulnerability and honesty are more likely to get through to a child than anger, accusations, and emotional outbursts. Be prepared for any response. Some kids may lash out and accuse you of spying on them or “getting in their business.” Some may feel remorse and even break down and cry asking for help. Either way, let them know you are there for them, want to help and explain the dangers of how this type of behavior can affect their bodies and their lives, long-term. Understand that if your child has developed a substance abuse disorder, it is not their fault. There is substantial evidence that abuse disorders are a form of mental illness affecting how their brains work and your child needs help not discipline. The most important thing you can do to keep your kids off drugs and alcohol is to start talking to them early, so they have an understanding of the risks from a young age. Then continue the con-versation, as they get older into young adulthood. For some parents, this is a difficult conversion, but if you start early when your children are young, it will become a regular part of life and the regular, ongoing conversation. Children who are close to and feel comfortable talking to an adult do better in school and tend to have an easier time dealing with peer pressure. If you have a family friend or relative that is close to your child, perhaps having them talk to them about drugs and alcohol makes sense. Children need boundaries and structure. Set specific curfews and rules, and expect adhe-rence. If you kids break the rules, follow up with promised consequences. Children know parents care when they take the time to set boundaries and enforce them. Spend quality time with your children. Ask what is going on their lives and if they have had to deal with anything stressful or uncomfortable. Offer to provide advise or help but don't push. Another way you can keep your kids safe is throughout their lives bolster their confidence and self-esteem. Tell them they are unique, worthy and perfect exactly as they are. The DEA has published a fantastic resource for parents here; a complete parent's guide to drug prevention for kids.